The Shrine of Ascendance is near! 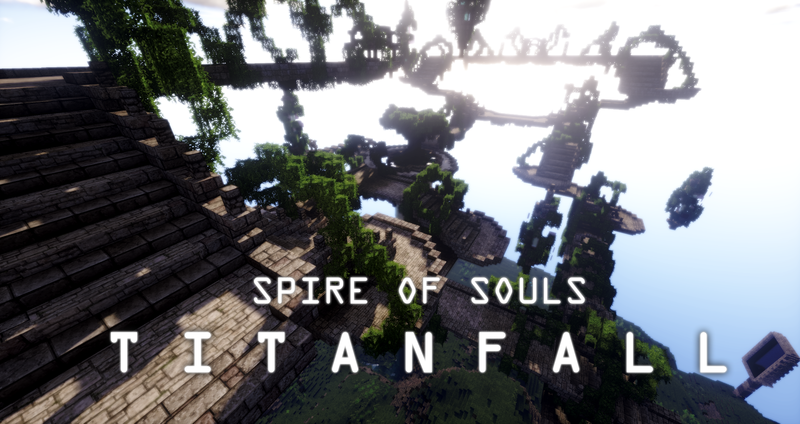 Travel through the mysterious zones, built underground for the most unsatisfied travelers and those who accidentally laid a gaze upon the massive structures which stand on the isle. Cleanse the the shrine by venturing to the depths of the isle, torn by void and chaotic energy and slay the malefic creatures. Clash with the beast who corrupt the shrine and the twisted protectors whom do not resemble themselves anymore. Conquer their portals on Normal and Challenger difficulties and receive the reward you've earned. Earn advancements to show off your undisputable might. You deserve it. Good stuff! We've finished polishing a few things here and there, and we're rolling out a demo just for you guys! We've cut out the stuff you won't need to play that portion of the map, but the rest is there! Of course, we couldn't let you go without a mini-boss at the end, just so you don't feel you're playing a Nintendo Sonic. Want to know about the rest? Get yourself a copy an play! * Reduced existence time of "Fel" and "Ice Injection" pools from "always" to 30 seconds. * Fixed playing incorrect spell cast and spell effect sounds for "Ice Injection"
* Fixed possible LAN cheats:on option to exploit gamemodes outside "Adventure"
Looks nice! I've been really impressed with the maps you guys have been making. * Added POV dependant mechanic for Ignitus per spell cast: "Grenade"
* Added additional two charges of Siegebombs for the second shot of Siege Turret. Exclusive spell mechanics, supported by visual and sound effects are now available full thrust! Note: If you encounter a bug or want to leave a feedback, you can contact us through the website or by leaving a comment. Be sure to do so! Fixed exception message looping for players who select encounter while being in the dungeon. Fixed an issue where you could still deal damage and consequently kill the boss during an intermission. Fixed an issue where players would enter a portal to the wrong platform during a phase and not be able to return. * Improved visual effects for summons and "Archetype"
Our website has been updated to included all relevant information regarding the upcoming encounter: Lifebinder's Aid. * Renamed "Archetype's Citadel" to "Magistrix's Citadel"
* Increased passive power generation from 1 every 5 seconds to 1 every 2.5 seconds. * Renamed "Archetype" to "Tuludrum"
Added loot for "Lifebinder's Aid"
Saddle & Golden Horse Armor now have to be bundled in order to be exchanged for "Gold Nugget"
Added trades for both iron and gold armor types to be traded in exchange for "Gold Nugget"
Standalone world saves will no longer feature an update within themselves. Instead, they'll be available to download as an already updated version. Update worldsaves will exlusively feature files required to update an existing world save to the latest version. Fixed incorrect encounters defeats being applied after completing "Lifebinder's Aid"
Don't remove some bosses skills if you are on normal, it makes bosses incredibly boring. Examples: Stonekeeper Kormog strategy is just shield and attack when he hit you shield. Repeat till he die. When he is entering one of the phases just go to safe zone/center. On challenger strategy is less boring, because he have one more ability. Or let's take the Operator Ignitus. On normal he just throws TNT and he is less powerful than Kormog and have less reach which makes him the easiest boss. Lifebinder's Aid is by far the most frustrating one... Especially if you don,t know how to use elytras or don't have enough CPS to kill the zombies quickly enough. One time on challenger difficulty the Tree was like one power to win, and there was one zombie left which killed the tree while being on 1 point of health. Boom, start all over. Now let's go to bugs. 1. If you will jump to the Mordum's portal before completing the trial of truth. you will activate the boss fight and there will be infinite amount swords flying from your head. You won't teleport to boss fight tho. 2. Kormog can sometimes attack through shield which incredibly frustrating. 3. As there is daylight on the Overseer's field, her illusions or herself when she reappears won't attack you giving you free 2-3 hits. 4. When you in boss fight and log out and login in, boss's aggro will go down, so he won't attack you (Only tested with Kormog), this will make you gurantee 2 hits. 5. One time I was playing against Ghartrag when I was on full health, he insta-killed me with his soldiers (IronSkin Applied). 6. Operator Ignitus has not so many phrases, its not that fun to listen to "you don't have much time" 7 times in a row. 7. Lifebinder's Aid, Stonekeeper Kormog, you can jump away from the map, if you will survive, there is nothing you can do but hearthstone. 8. You can teleport to the Spire of Souls without even reaching final altar. 1. Make trials longer. I was able to complete all trials in 1:19 (Minutes:Seconds), boss fight included. 2. Make Mordum stronger. He is way too easy to beat right now. 30 seconds is a maximum. For example: Make his attacks stronger or make his AoE spells radius larger. 3. Make sure what you can't lose all your golden nuggets when you was talking to villager and they were in his inventory and you accidentally clicked escape. 4. Doing Kormog on Challenger Difficulty than switching to Normal and Defeating him, will spawn no loot in loot chest. 5. Don't remove boss abilities/phases from Normal Difficulty, this makes some bosses (Kormog, Ignitus) very boring. Thanks for reading, will add more as time go on! 1. Thank you for that. Please elaborate next time so I won't have to guess-work and dance around portals to reproduce the bug. 2. Melee attacks from all bosses are default behavior of creatures in Minecraft. We haven't touched anything besides our custom designed spells and mechanics. 3. I couldn't reproduce the issue of Naara not attacking the player after the Illusions phase failed or succeeded. The illusions themselves, however, were never intended to be hostile. 5. I couldn't reproduce the issue as of yet, but I'll keep trying. 6. Operator Ignitus has 2-3 phrases per even (track number, wagon type, spellcast), it's just that it can randomly select the same phrase one hundred times in a row. 7. Thank you for that. We're currently testing the behavior. 8. Thank you for that. Didn't think anyone could jump this high and far. 1. These trials were never meant to be obligatory or to lead to frustration and despair. Some people may have a hard time completing those, and we're okay with that. Hence why it's a "tutorial". It doesn't throw you into a pit with unknown mechanics, creatures and whatnot. You understand the basic concept behind the map after completing it. 2. Back to point one. This mini boss was never intended to be or designed as an encounter. It just comes to show you how different particle effects are used to distinguish different effects, and which colors represent what. How abilities are being casted, and how you can identify the boss is starting to channel them even if you disable to effects altogether. It was never meant to give a hard time to anyone, but some people had. 3. I have no clue, not in the slightest how you manage to pass items to creatures with disabled loot pickup. 4. Empty loot chest after defeating Kormog was a bug and we addressed the issue in 2.1, if I'm not mistaken. 5. Challenger mode was the intended mode to be played. This was the initial design. Given the reasoning of point one, we've decided to build around a scaled-down difficulty to allow players whom are less familiar with these types of map have fun as well. Hello again. Got on the Overseer Naara encounter. What I meant before is not illusions, but hatchlings. Also they seem to get damage from Naara's own abilities. Also, I got defeated by her (Normal Difficulty), then walked into the encounter again. I started fighting her, but no health bar (I mean the description how many health she has just above health bar), then she dissapeared (as normal), but no portals has been opened for me to defeat her friends. I cannot do anything, but Hearthstone. Sometimes (on all bosses), the boss will stand for 3-7 seconds still (voice lines will go through) and then charge to you and attack multiple times. You can't do anything about that unless you will notice the boss's lag and just press shield and aim at the boss. On versions above 2.0 (It is versions 2.1,2.2,2.3) player will start the map with the Dungeon Journal instead of Tutorial Journal. Defeated Kormog on normal difficulty (Version 2.3), no chest with loot spawned. I've tested the issue with you being unable to see hear health tracker and teleporting, and this is caused by how the trigger works on all encounters. When she resets, she spawns with invulnerability and invisibility. When you attack, the encounter updates and triggers combat, but since player had dealt no damage it doesn't update players as well. Will be addressed in 2.4. Hatchlings don't attack because back to points I made previous, we haven't found a way to reliable control targets for passive mobs, and so the player has to aggro them by himself, unfortunately. Naara's abilities do apply certain effects on her Hatchlings, it's intended. E1: When bosses stand still then charge dealing multiple attacks is caused by Minecraft skipping ticks. There's no way around that since it essentially has too many data to handle and can't process it fast enough to update the game as "intended". E2: Tested on a fresh world @ Update 2.3, received "Tutorial Journal" on first login. If you've already completed the tutorial, updating won't reset any progress and you shouldn't receive a tutorial journal.